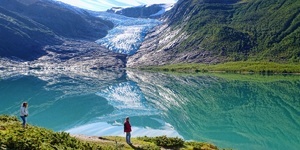 7 DAY ROUNDTRIP – ESCORTED TOUR One highlight after another awaits you on this trip through one of the most spectacular and fascinating sceneries in the World - with deep fjords, glaciers, picturesque villages and majestic mountains. 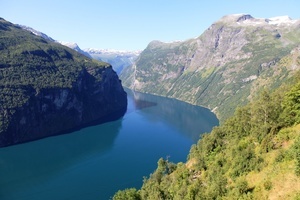 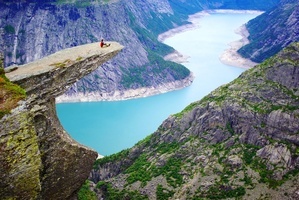 The fjords of Norway is a highlight of any tour to Norway and this incredible journey will combine the Hardangerfjord and Sognefjord, with a visit to the foot of one of the most accessible glaciers in Norway: Nigardsbreen glacier which is an arm of the large Jostedalsbreen glacier, the largest glacier in Northern Europe. 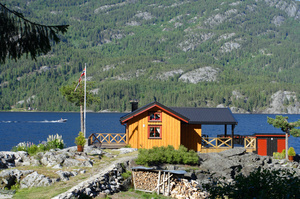 5* and Fjord View Accommodations ! 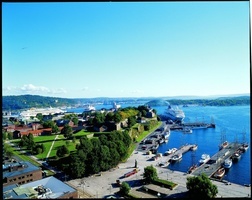 Cruise northbound from Bergen to Kirkenes in the Arctic, return on southbound cruise to Trondheim. 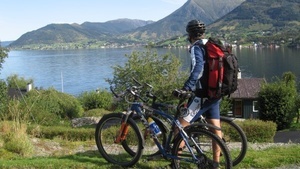 Includes cruising the Geirangerfjord. 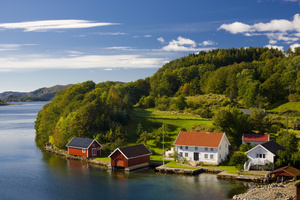 Experience ‘the world’s most beautiful sea voyage’ from Bergen to Kirkenes, roundtrip. 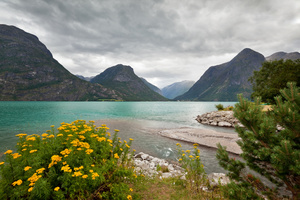 Sail into the Geirangerfjord, through the Lofoten islands and stop in many little towns along the way. 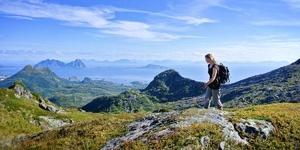 Hunt for the Northern Lights experiencing amazing peace and tranquility of winter in Lofoten, watch the fish being hung out on the drying racks, enjoy life in the harbor, have a "skreimølje" dinner and enjoy this local cod dish, good wine and amazing new experiences. 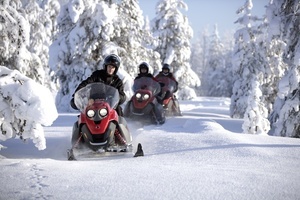 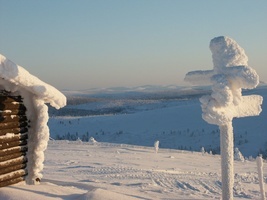 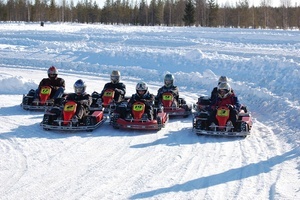 Norway winter package in Tromso includes traditional winter activities in the Arctic North. 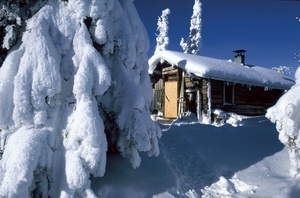 Enjoy dog sledding in the white landscapes, snowmobile safari in the specular beauty of Lyngen Alps, stay overnight in Camp Tamok and learn how to spot and photograph Aurora Borealis, relax by the open fire in the big Sami Laavu, take a 2 km hike at night in the valley. 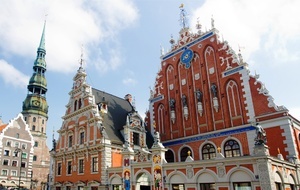 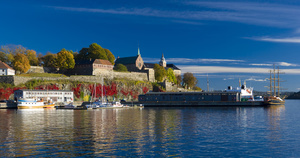 Comprehensive 7-night travel package with Oslo, arctic Kirkenes at the “top of Europe” & picturesque Bergen. 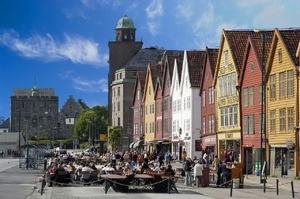 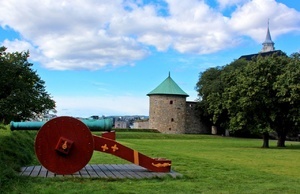 The tour starts in Oslo, taking the famous Norway in a Nutshell trip to Bergen -picturesque UNESCO town. 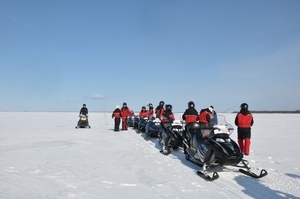 Continue on to the north and Kirkenes, with escorted activities in the Arctic wilderness & overnight stay in the unforgettable Snow hotel. 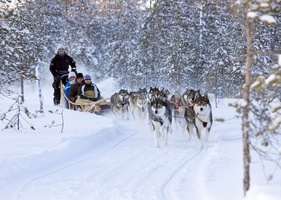 Kirkenes package including 4* hotels and exciting activities such as Northern Lights hunt, snowmobile tour, King Crab catch and dinner, husky safari with lunch and optional overnight in snow hotel.